Collect the Enchanted Pumpkins until the November 11th, 23:59 EEST and trade them in Warlock Exchange Station to get 2 special pets! A group of Warlocks, Magicians and Druids along with a few ambitious Beastlords have been working on a very special project for the last two cycles. You received an intriguing, though vague invitation to the presentation, promising that the project will catch your interest in any case. You have no idea why they’ve chosen this specific night, but you really hope that they aren’t going to demonstrate an open gateway to hell pouring all kinds of demons and monsters onto your land. ...You enter the presentation site and gasp with awe and fear. Two formidable six-winged four-eyed dragon-like creatures menacingly stare right at you. You have never seen creatures like these before, though you recognize some familiar features in their appearance. The air around them distorts and trembles, forming a strange palpitating haze. You hope that whoever brought these weird creatures here have enough control over them. You see a familiar female Warlock who is heading towards the center of the site to take the word. She is the one who talked to the community when Council unleashed the Apocalypse Kami two cycles ago. Her face shines with enthusiasm: she got a chance to rehabilitate her reputation. - Ladies and gentlemen, this day I want to introduce you the result of the collaboration of the best minds of Europa – the Drakes! I see that some of you feel uncomfortable in their presence. Though they look a bit… unsafe, these creatures are stable (Yeah, just like some of your previous experiments), so you can even leave a helpless child near them without any doubt. They are artificial beings fully controllable by their owner. We created them by merging together the genes of our regular Dragons and Cockatrices with the energy of the embodied Kami creatures that visited our moon. Drakes are perfect warriors and protectors, and they will always obey the directions of their owner no matter how boring or unpleasant the task is. At least now you know what they've did with that Perfect Toxin from the most poisonous Cockatrice on the whole Europa. Knowing Warlocks, it could be worse than just creating a deadly golem. - We're offering everyone a chance to get their own Drake! Dogs?! Did those demons ascended straight from hell to terror your poor manor? You are sure that these monsters are a direct consequence of another uncontrolled experiment with the other worlds, but you have no proofs. - Visit our exchange station when you get some pumpkin cells charged! We're also trading some of our exclusive items for that energy. 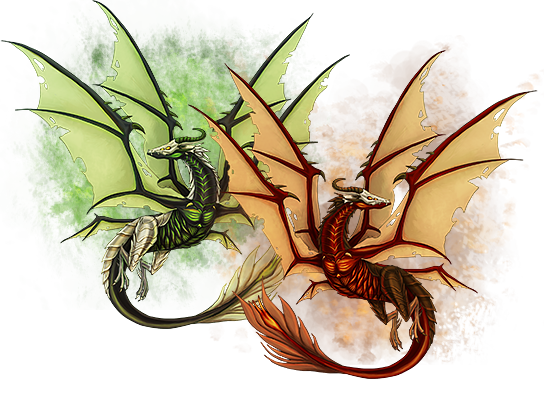 The Drakes look awesome! Great job guys and Happy Hunting all! Great! I'm so excited :D! Thank you thank you thank you :)! Aww, wish I knew earlier, so I wouldn't have sent some of my cockatrices into the SPS. Edit: Hmm, need 130, and got 15 today, with around 11 days left, I should be able to get the two drakes, as long as both pumpkins count. Also, noticed that each island can spawn 0-2 Orthrus, so it's kinda better to explore with your pets vs using them for the battlefield. So, extracting Fearsome Look and Petrifying Gaze, does that remove it permanently from the pet? Since there are two types of pumpkins, do we need to get 30 of the green smiling pumpins for the Doom Drake and 100 of the yellow smiling pumpkins for the Hell Drake? Or does it not matter which type of pumpkin we get and it all stacks together? PS - Just went exploring and found one of Orthrus dogs. Maybe my pet is a bit wimpy or something but that thing was pretty tough. Also, should I have gotten a pumpkin from it? 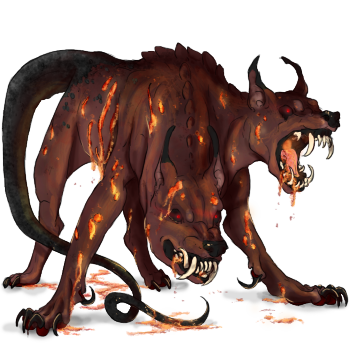 I beat an Orthrus dog too, and didn't get a pumpkin from it either. Do only some of them give pumpkins? I figure it's just a drop chance. I've beat three, and seen no pumpkins yet. In the warlock station, it says there's a drop chance for the kind you get beating a Temple Guardian, but it doesn't mention that it's a drop chance with the Orthos dog kind. If it is a drop chance, could that be clarified in the shop? Every Orthrus gives a Pumpkin, they don't have a drop chance. Pumpkins drop in your Quest Items, not in the regular items. If you don't see them there either, could you please tell the ID of any pet that killed an Orthrus and didn't get anything from it? I don't see it in quest items, and the Warlock Shop thinks I don't have any. It was my Carpo, #677404. Thank you for the info! The culprit was the Manual battle mode, now everything should work without issues. Sorry for the inconvenience. That was quick! Thanks, Angel! So excited! Happy hunting to all! What of the punkpkins though? Does the kind of pumpking matter? Or are Pumpkins that should have been awarded not going to be added? If they aren't, dang. At least the problem is fixed for the next time I find one.